One of the things we love about our fans at Wine Glass Writer is all of the creative ways they use our product. Originally created as the wine charm alternative to keeping track of your wine glass, our fans and followers have found so many creative ways to #SayItWithWineGlassWriter and we are super excited every time they tag us on Instagram with a new photo. This year we decided we would start off 2017 by offering you some inspiring ideas to kick off a brand new year. Who knows, these ideas may even motivate you to create some last-minute resolutions. We have all heard that love is a verb, so how do you show someone that you love or care for them with a Wine Glass Writer? Jennifer Smith is an author and advocate of letting your partner know you love them daily, and she has some pretty creative ideas. 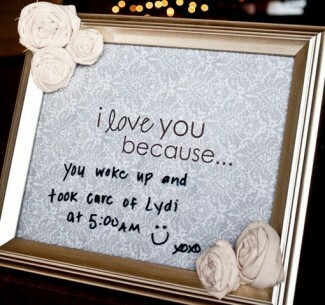 "Print out the words: I love you because… on some cool paper and place in a favorite frame," she says. 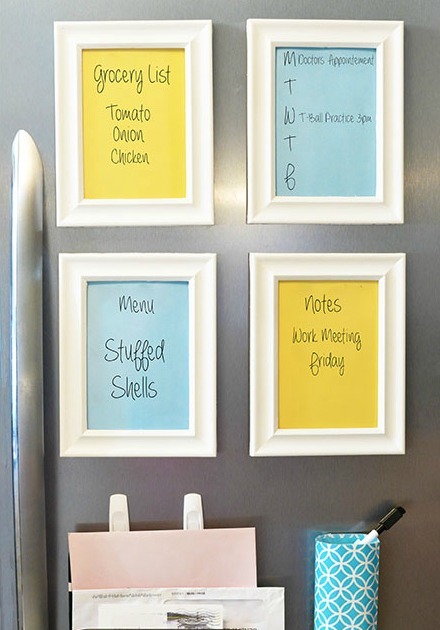 "Set it where your loved one will see it (like a nightstand or kitchen counter) then use a dry erase marker to write why you love them. You can also use a chalkboard." 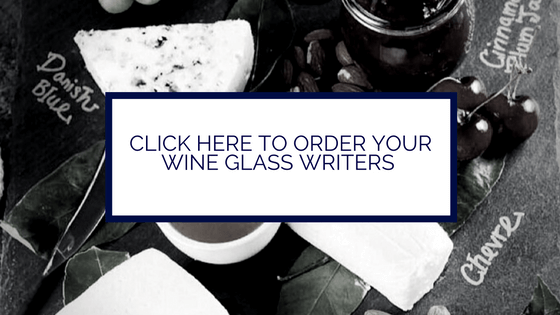 Naturally, our advice would be to grab a Wine Glass Writer for your message since they come in so many pretty colors and wipe off just as easily with a Windex wipe! We found this next stellar idea on Operation Beautiful. "The mission of Operation Beautiful is to post anonymous notes in public places for other people to find. 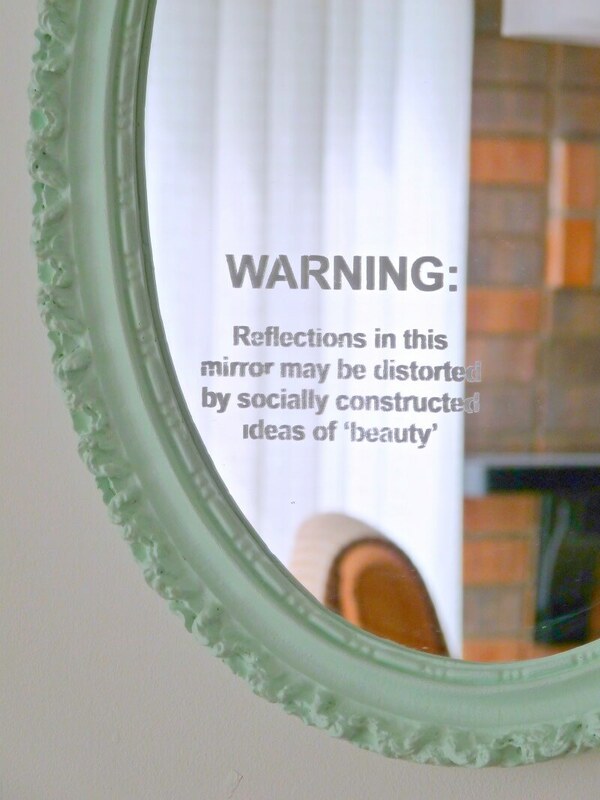 The point is that WE ARE ALL BEAUTIFUL. You are enough... just the way you are!" 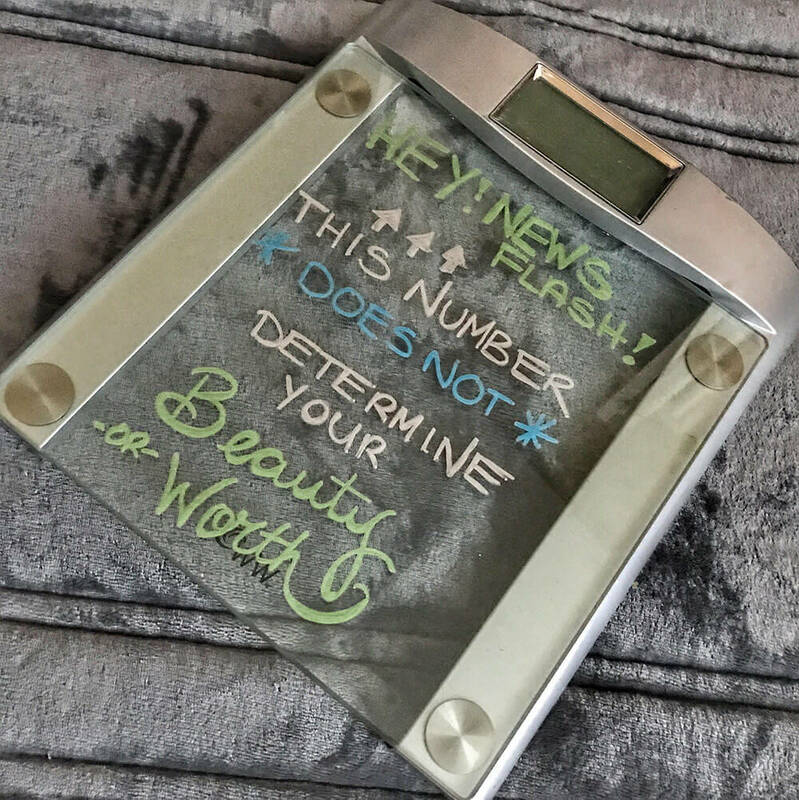 We love this idea and with so many resolutions based on our body image this time of year, we think it's a great idea to write yourself a love note on your scale. If you own a glass scale, like so many of us do these days, grab your Wine Glass Writers and get creative, cheer yourself on, and remember you can change the message as often as you like with some soap and water or a bit of Windex! If one of your plans for 2017 is to get organized, you're going to love this easy DIY project found on Jackie Cravener's blog. One of her New Year’s resolutions this year was to start off by being more organized and saving money so with those two goals in mind, she created this super cute and budget friendly family command center. "You may be thinking that making a stylish DIY command center would be extremely hard to do and expensive," she says, "but with this Dollar General tutorial, I’ll show you step by step how we made this budget friendly version for under $30! All of the items in this post were purchased from Dollar General except for the mail slot organizer and the scrapbook paper, we had those on hand." So if your Wine Glass Writers are hiding in your kitchen junk drawer, it's time to pull them out and put them on display in your new family command center! We just had to inclu de this last minute addition to our list when Adrienne Shubin posted on Facebook about her 2016 happiness Jar. Here's what she had to say... "366 days ago on January 1st, 2016, I created a Happiness Jar, an idea I found out about on Elizabeth Gilbert's Facebook page. I did my own version I named my Rich Life Jar, which included not only writing down what was *rich* about my day - every day - but often included attaching a single bill from my wallet. I stuck with it all year long and today I spent hours reading my cards, reflecting on the year, reliving memories, and counting my saved up bills! I've already got a new theme and jar design for 2017 which will be in my next blog post." 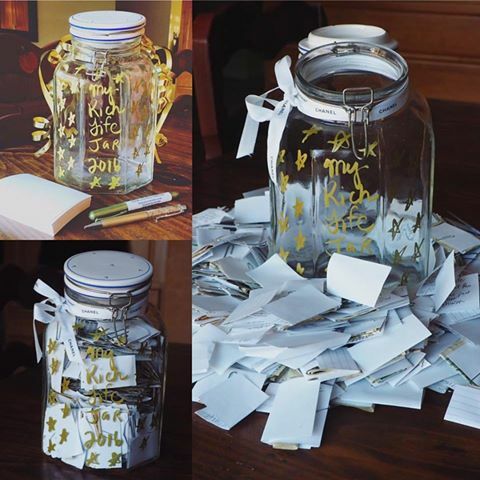 After this fantastic idea, we will definitely be checking in on her blog to see what her theme jar for 2017 turns out to be!